Hi — I’m Steph, a Toronto based multidisciplinary designer currently at the intersection of Experience Design and eCommerce. 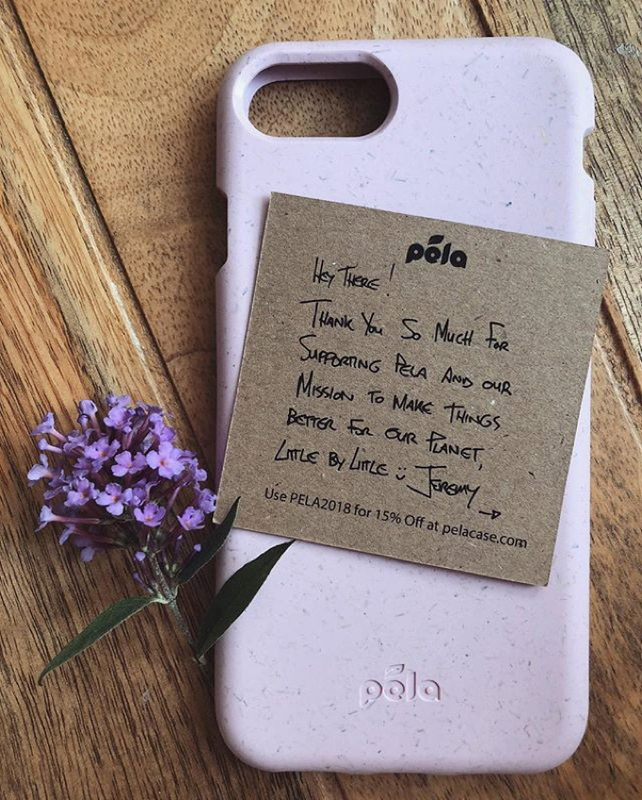 Pela is a Canadian phone case company whose unique flax based plastic aka bioplastic is 100% biodegradable. In just under a year the company went from doing $1000/month to $1000/day. This was in no small part due to the dedicated online zero waste (or waste-free) community that surrounds Pela - folks who are dedicated to limiting the amount of waste they produce in an effort to reduce their impact on our enviroment. The team at Pela were very much aware that social media, especially Instagram, was a key channel both for customer acquisition and retention when they sat down with us to talk about their vision for the new site. They wanted to transfer the spark they had organically lit on social media to their eCommerce experience. How might we create a commerce experience that authentically connects with the zero waste community? Though time and resources were limited I knew that research was vital to ensure the experience felt authentic to the brand and cause. The brunt of my research spanned a single sprint. The research phase consisted of 3 initiatives to learn more about the zero waste community, it’s audience and key competitors. Since I couldn’t meet with customers directly, due to lack of time and resources, speaking to the Pela team was essential in gaining insights into their core customer segments. Based on our conversations with the client the Demac Team elected to focus on the customer segment Pela nicknamed “the Outdoor Adventurer” for phase 1 of the build. 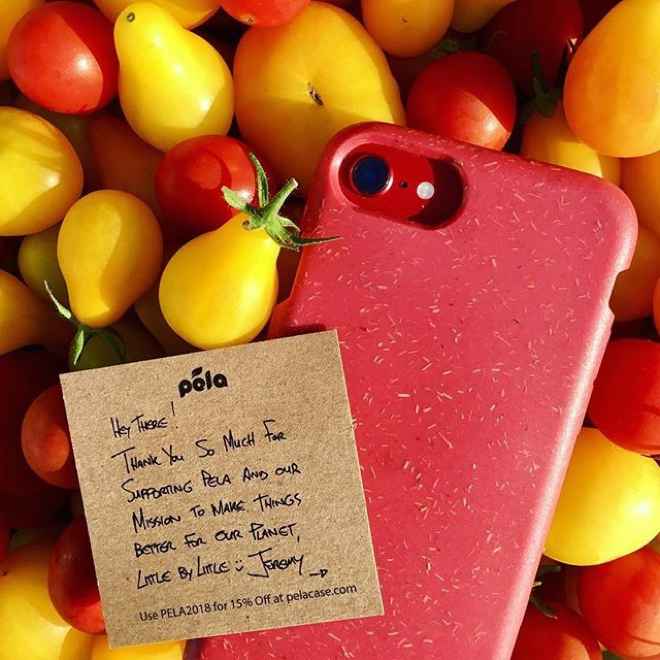 Outdoor Adventurer: Someone who is new to the zero waste community and therefore would likely have yet to discover Pela and would also be the most likely to purchase a new phone case. Through talking to Pela we discovered the main navigation's UX and Information architecture was a big pain point for both their customers and Pela - which I’ll talk about in detail a bit later in this case study. Using the insights from the stakeholder interviews I conducted additional research to flesh out the “Outdoor Adventurer” their goals, needs and key behaviours. I like to joke that while Demac is an agency the UX department is still a startup. What I mean by this is that often UX has to be done on a shoestring budget so I have to look to creative, cost-efficient solutions to inform my work. 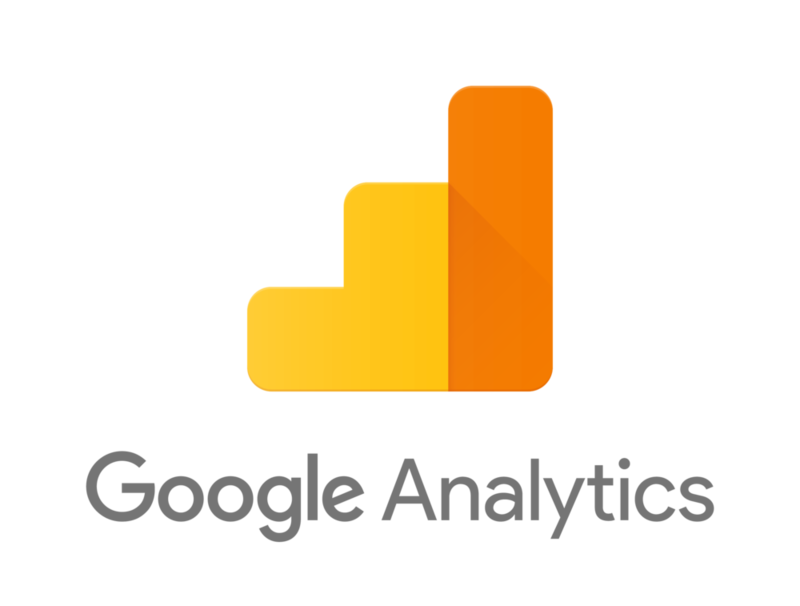 When it comes to analytics - the price is right. Through my analytics research I uncovered that the majority of Pela users fall into the millennial cohort . Using this insight I consulted market research that captured the purchasing habits of millennials, their values and how they relate to brands and causes. I spent time immersing myself in the online zero waste community. I watched youtube videos, visited influencers’ blogs and social accounts and took note of trends I observed. While conducting the competitor analysis I was especially mindful of the kinds of imagery and copy each brand employed to speak to their customer base. I synthesized my insights into six core UX strategies to be leveraged during the design phase to ensure the experience felt immersive, meaningful and, most importantly, authentic to Pela’s customers. My process consisted of creating a large spreadsheet where I chunked like information together to identify trends and then reformatted them into recommendations. The community uses powerful images of the environment to engage users in both positive and negative contexts to inspire activism. Always tie back to the cause using engaging imagery to evoke emotion. Millenials support brands that stand behind causes they believe in. Ensure the customer feels like they’re making a difference and that, by supporting Pela, they’re supporting causes that are important to them. Pela’s handwritten “Thank You” notes are a huge part of Pela’s community culture. Customers connect with them because they feel human and personal. Make the user feel connected to the Pela through a humanized and warm experience. Millenials are tribal and more likely to trust brands if validated by members of their community. Use the community’s voice to prove the quality of the product, rather than the brand’s voice alone. Similar brands in this space lead with educational content rather than commerce. Ensure there is a balance between content and commerce throughout the experience. Zero waste consumers are savvy and have high BS meters. They will support brands that they feel are authentic. Gain customes’ trust through being tranparent and real. Impart the sentiment: “Pela isn’t perfect but we’re trying" and be sure to show how. Once my research was complete I created the UX persona and journey. The persona built on the “Outdoor Adventurer”. I then crafted a corresponding user journey which would act as the design team’s north star for my UX recommendations. I also included the current pain points in the user journey - this would ensure these were front of mind for the design team while we designed the new experience. Image: Pela’s UX Persona, Olive Walden “The Outdoor Adventurer"
During the stakeholder interviews we discovered that the IA and UX for the main navigation was a big pain point for both Pela and their customers. Image: Pela’s main navigation before the redesign. The dropdowns where quite bloated and the formatting of the links were difficult to read. The category taxonomy was brittle which made scaling the navigation next to impossible for Pela. The nav's UI was clunky and frustrating to use, especially on mobile, resulting in a high amount of user errors. The link formatting was not optimized for scannability, especially in the second tier. The way links were grouped wasn't intuitive which made products and content difficult to discover. Based on the client’s feedback I redesigned the navigation’s experience with the aforementioned pain points in mind. I was also mindful of Pela’s business goals and their branding initiatives. Previously community content was difficult to discover as it was scattered under a number of nav items. I created a main “Community” nav item which consolidated all related content, like their blog, to easily connect customers to Pela’s community. Pela often teams up with influencers, charities and brands. The current navigation didn’t make this clear. As these collabs are typically limited edition we opted to create a “Limited Edition” nav item which would house their collabs making them easy to discover and underscore their exclusivity. I consolidated all product links under the main nav item “Products” which would open into a mega menu format. This created a cleaner and scannable nav layout. I also added two additional product categories within the dropdown to demonstrate how Pela could easily scale into verticals outside of phone cases. I referenced how vendors like Apple and Peel merchandised their phone cases. I emulated their approach to formatting the phone names, which improved the scannability. This link previously existed on the site as “Sign up for more Android Cases”. If a case isn’t availabel for a customer’s phone they could sign up to be notified when it was made availabel. This link directs users to a phone size guide. I felt by including these support links in the main nav, which is always one of the most heavily used elements on any site, it would be the best way to intercept customers who may need an extra hand. In addition offering help in the form of a question was a way to humanize the experience, anticipate their needs and promote an action. Image: Shots of the whiteboard session. First we blocked out the sections of each page using sticky notes to determine the content hierarchy. We then fleshed the pages out into low fidelity wireframes. Using the sketches we built from the card sorting exercise I created wireframes. Below are a few examples showing how we leveraged the strategic recommendations to guide the site’s skeleton. 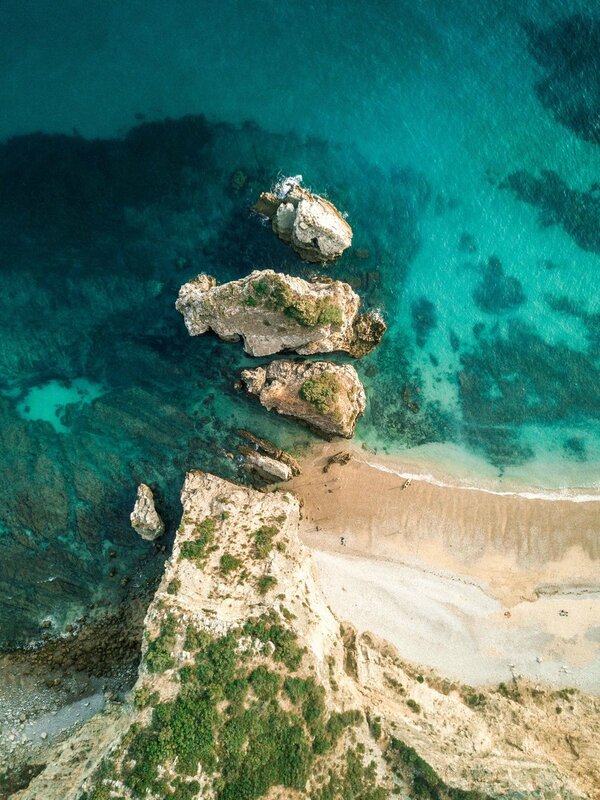 As the hero banner is one of the first elements customers see we wanted to ensure we were using it to immediately connect Pela to the enviroment through powerful imagery to engage users emotions as soon as they landed on the site. To make the customer feel like their purchases were making a real difference we designed a live counter that would update in real time as people purchased cases to show the direct correlation between purchasing and positive actions. We included a mission statement right after the hero banner to introduce and educate customers, especially new ones like Olive, to the brand, bioplastic and it's positive impact. We leveraged the community voice throughout the experience. Reviews and testimonials were included at main points throughout the journey. We included content at key points of the journey to entice and engage users such as featuring the blog prominently on the homepage. Please note: for ease of use, I've removed most hot spots from this prototype, clicking anywhere on the current screen will advance you to the next one. It’s not about anti-consumption; it’s about mindful consumption. It’s about holding brands accountable to ensure the goods we purchase don’t negatively impact our planet - and proving it through transparency. And most importantly, it’s not about the case, it’s about what the case represents which is giving a sh*t about our planet, the enviroment and it's future. Image: Product Detail Page designs. Design and asset creation by Julio Wong, Lead UI Designer. Image: About Page Design. Design and asset creation by Julio Wong, Lead UI Designer. Limited time and resources isn’t an excuse to skip UX research. Sometimes you have to get creative and look to quick, cheap or free options. Some research is still better than no research. Reflecting on my approach I missed an opportunity to design for the primary audience which is predominantly mobile. This is something I will keep in mind for the future especially since mobile use continues to be on the rise across the board.